Bill Clinton blistered the Republicans on a variety of points last night but prominent among them, to an economics correspondent, was his attack on the Romney/Ryan budget plan and its tax cut for the upper crust. But I sat up and took special notice when the eminent UCal Berkeley economist Brad DeLong, a Democrat and once a colleague of Mankiw and Feldstein, also joined in. His popular blog, “Grasping Reality with Both Invisible Hands: Fair, Balanced, and Reality-Based: A Semi-Daily Journal,” is here. “I never called DC contributions ‘loopholes’. Romney said he could pay for his proposed tax cuts by limiting deductions and loopholes of high income taxpayers. There are certainly lots of ‘loopholes’ but no one should call the IRA-type contributions a loophole. Marty ended by attaching the note reprinted at the bottom. “As far as I am aware, Romney has said that he will close loopholes and eliminate deductions. If Marty can get Romney to shift his rhetoric to say that he will broaden the tax base by adding taxes on employer contributions to health insurance and pension accounts, then Marty is right–and all power to him for pinning Romney down to actually mention the Base Broadening That Dare Not Speak Its Name. If not, then Marty is wrong: taxing employer contributions to health insurance and pension accounts is not what Romney–or any other Republican–means by ‘loophole closing’. Marty is defending against the charge that his candidate’s proposals are incoherent–and are left unspecified because they are incoherent–by saying that there might be some other candidate–not mine–who would set forward some other set of proposals–not this set–that would not be incoherent. “This note is a reply to those who commented on my August 28 WSJ article (available at www.nber.org/feldstein/wsj08282012.pdf) about the Romney Tax Plan. The Romney income tax plan includes a 20% cut in all individual tax rates, eliminating the AMT, and eliminating the taxes on interest, dividends and capital gains for those with incomes under $100,000. The resulting revenue loss is balanced in the plan by broadening the tax base for high-income taxpayers. The Tax Policy Center (and others citing their report) claimed that the Romney plan is “mathematically impossible” and that the plan would inevitably lead to a large middle class tax increase or a rise in the budget deficit. I found that that conclusion is not correct. It is possible to cut taxes as Gov. Romney indicates and to finance it with base broadening for taxpayers with AGI over $100,000. Governor Romney has not specified the base broadening that he would propose. My calculations presented here and in the WSJ are not estimates of the Romney plan but an indication that such a plan is feasible. For the WSJ article I analyzed the most recent published IRS data (for 2009). The cost of the Romney proposed tax cuts would be $219 billion in that year with no behavioral response (the “static estimate”) or $186 after a $33 billion reduction in cost caused by the behavioral response to lower marginal rates (with an elasticity of the tax base with respect to the net-of-tax share of 0.5.) Those IRS data also implied that eliminating all deductions for taxpayers with AGI above $100,000 would increase the tax base by $636 billion. I multiplied the $636 billion by a 30 percent marginal tax rate for the high-income taxpayers, implying $191 billion of extra revenue. That would be enough to finance the $186 billion revenue loss. All taxpayers with AGI below $100,000 would have tax cuts and no tax increase. I concluded that even without further base broadening the plan is feasible and would not involve either a middle class tax increase or a rise in the budget deficit. The critics of my WSJ piece raised 4 objections: (1) The 30 percent marginal tax rate is too high for these taxpayers because of the 20% Romney rate reduction. (2) The behavioral response (reducing the cost of rate reduction by $33 billion) is too large because the elasticity of the tax base would be lower than the 0.5 I assumed. (3) Applying the base broadening to those with incomes above $100,000 would create a “notch” with a jump in tax liabilities near that level. (4) The Tax Policy Center defined the middle class as all taxpayers with incomes under $200,000 while I used $100,000. While I still believe the assumptions that I used in my analysis, I can modify them as suggested by the critics and still support my original conclusion by broadening the tax base in ways suggested but not developed in my WSJ piece. 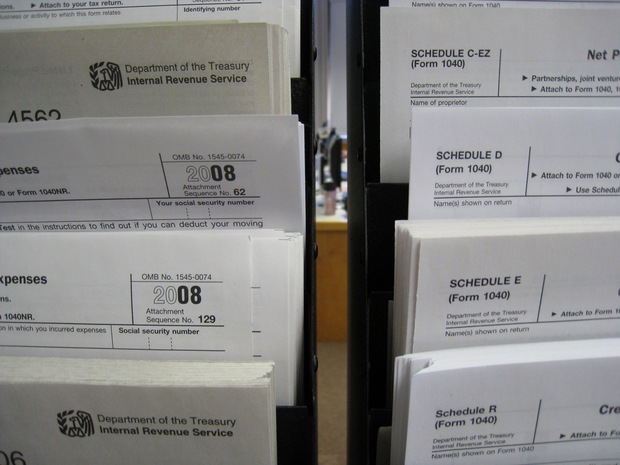 Eliminating a few of the “tax expenditure” exclusions and credits that are important for high-income taxpayers would raise more than enough revenue to compensate for assuming a smaller marginal tax rate, cutting the behavioral response effect in half, and phasing in the base broadening for individuals with incomes over $100,000 to avoid the notch. More specifically, using a 25% marginal tax rate instead of 30% would reduce the revenue from eliminating deductions by 5% of $636 billion or $32 billion. Cutting the behavioral response in half (i.e., using a taxable income elasticity of just 0.25) would raise the cost of the tax cut by $17 billion. The cost of the “phase in” would depend on just how it was done but say another $15 billion of reduced revenue. So instead of my conclusion that the revenue from eliminating deductions would exceed the cost of the tax cuts by $5 billion, these assumptions would imply a shortfall to be made up by other base broadening of $64 billion. Eliminating the exclusion of municipal bond interest for taxpayers with AGI over $100,000 would increase tax revenue by an additional $15 billion. Eliminating the child credit for those with incomes over $100,000 would increase revenue by an additional $10 billion. So just those three changes to the list of base broadening measures would raise $75 billion or more than enough to exceed the $64 billion of potential shortfall with the very conservative assumptions noted above. Additional tax revenue could be raised without reducing incentives to save or to invest efficiently by eliminating the exclusion for high-income taxpayers of such things as capital gains on home sales, the “cafeteria plan” benefits, and the capital gains at death. One further point on the appropriate marginal tax rate (objection 1 above): although the top statutory rate is 35 percent, the effective top marginal tax rate is higher because of various phase-out provisions that affect high-income taxpayers (PEP, Pease, etc.) so my original assumption of a 30 percent marginal tax rate could be appropriate even with the Romney rate reductions. The final objection is to my use of the $100,000 level to show that the middle class (i.e., those below $100,000 AGI) would experience no tax increases. The $100,000 level corresponds to 21 percent of all taxable returns and a significantly smaller fraction of all households. I think it is very reasonable to say that people in that high-income group are not the “middle class.” The TPC focus on those with AGI over $200,000 limits that group to the top 4 million taxpayers who are three percent of all returns and five percent of all taxable returns. In the meantime, please note that this entry is cross-posted on the Rundown– NewsHour’s blog of news and insight.